Toronto, it’s finally time to come out of winter hibernation. Patio season is about to begin. 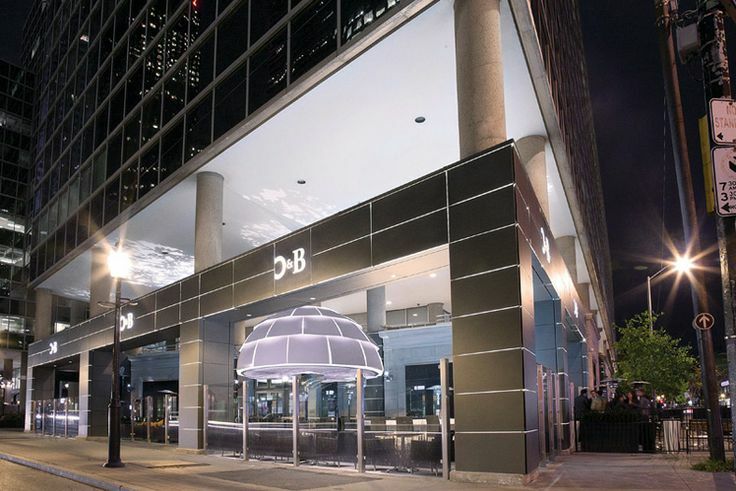 Whether you’re looking for a late night dinner or a mid-afternoon cocktail, this year-round rooftop lounge is extremely cozy even on the coldest Toronto day. The Drake Sky Yard is an ever-changing, climate-defiant space complete with its own cocktail bar. If you’re in the mood to rub shoulders with some of the city’s most affluent young professionals, head to O&B for an après-work cocktail. The heated patio is the perfect escape from the real world and has an impressive cocktail and snack list. Tucked away in Kensington Market, what was formerly know as the city’s best kept secret is now becoming a cocktail destination for those looking to get away from the busy city streets. The backyard patio is the perfect place to unwind with friends, and impromptu dance parties are always a guarantee. 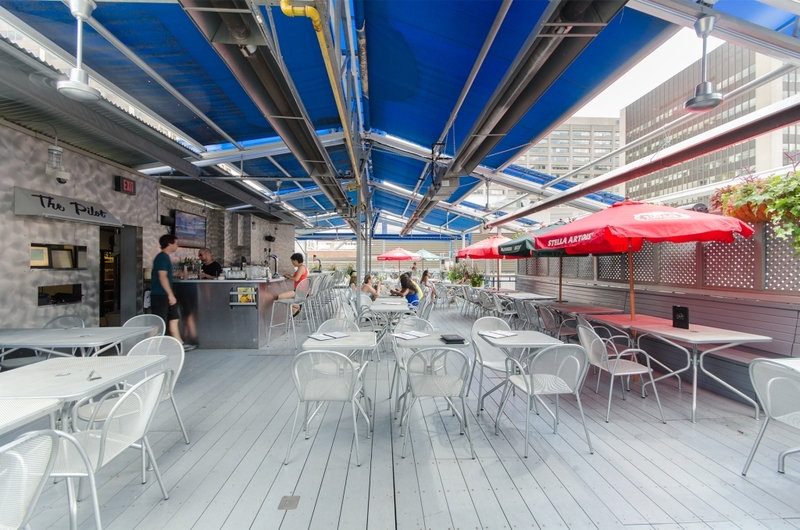 Located in the heart of Yorkville, the Pilot’s rooftop patio features the traditional laid-back vibe of the downstairs restaurant. Despite being located in one of Toronto’s swankiest neighbourhoods, this low-key pub is anything but pretentious. Head to the Pilot every Saturday afternoon to hear some of Canada’s finest jazz musicians. This rustic, yet stylish eatery is the perfect spot for those looking to enjoy some authentic Italian dishes while still getting to enjoy a refreshing cocktail on a heated patio. If you’re looking for a patio where you can see and be seen, this West Coast favourite is the place to visit. The patio is always lively and bursting with energy; you’ll feel like you’re at a day party in New York. This exotic Mexican tapas restaurant is the perfect destination to make you feel like you’re miles away from the chaos of the downtown core. If your margarita doesn’t warm you up, the cozy fireplace on the heated patio definitely will. Hemingway’s is the perfect oasis nestled amongst the shops in Toronto’s bustling Yorkville. The New Zealand-inspired eatery is home to one of the most lively year-round patios in the city and serves up traditional pub fare, features 24 beers on tap, as well as an impressive cocktail list. It’s the perfect place to unwind for a drink anytime of the day. Imagine a backyard BBQ year-round. Located in a cozy barn-like building, this campfire cooking-inspired venue comes equipped with blankets for the cold winter days. There’s also plenty of heat from the grill to keep you warm. 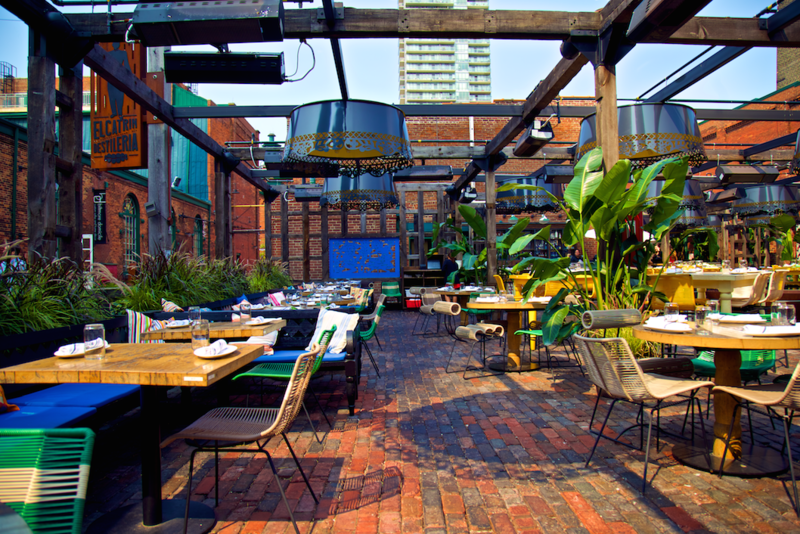 This Parkdale staple has a big heated patio, which is perfect for brunching, late-night cocktails, or even a game of trivia. You’ll definitely feel like you’re taking a walk down memory lane with the impressive collection of vintage rock memorabilia. The Cadillac has a cozy atmosphere even on the coldest winter days, so it’s the perfect place to kick back with a cold pint.